Last week I had the privilege of visiting High Tech High in San Diego as part of a 12 member team from my district. It was Exhilarating. Eye-opening. Invigorating. Rewarding. Productive. Positive. And because of that, I’m scared to go back to school tomorrow. This string art is a representation of each member of this [High Tech High] team as well as you, the community. We are all capable of creating great changes. How do you accurately share these emotions with colleagues who didn’t make the trip? How do you turn all of these emotions into change? It was overwhelming to experience, and there were definitely moments of questioning: How are we going to do this at our school? Our students are not electing to be here. Our teachers didn’t sign up for project-based learning. We don’t currently have technology for all. The list could go on and on, but these are complaints instead of solutions, and I’m not ready to hear them. They shouldn’t matter. They don’t matter. I’m not naive. I know that we have to be realistic about our circumstances. But realism shouldn’t correlate with negativism. I love my district. We do many great things here. And we will continue to do great things. But we have to be willing to make changes along the way and admit that we always can and should be striving to get better every day. 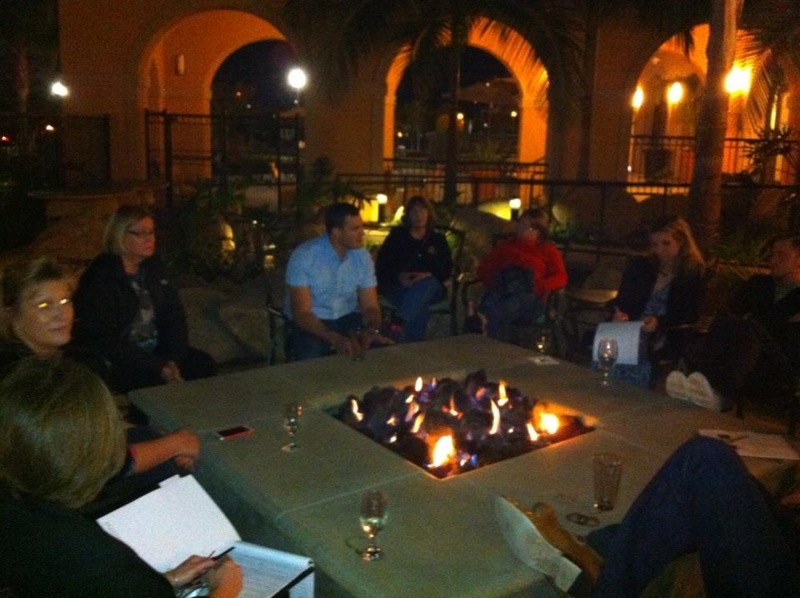 Sitting around the fire pit after touring HTH Chula Vista, we debriefed by sharing small, immediate changes that we know we can make. You have to start somewhere. 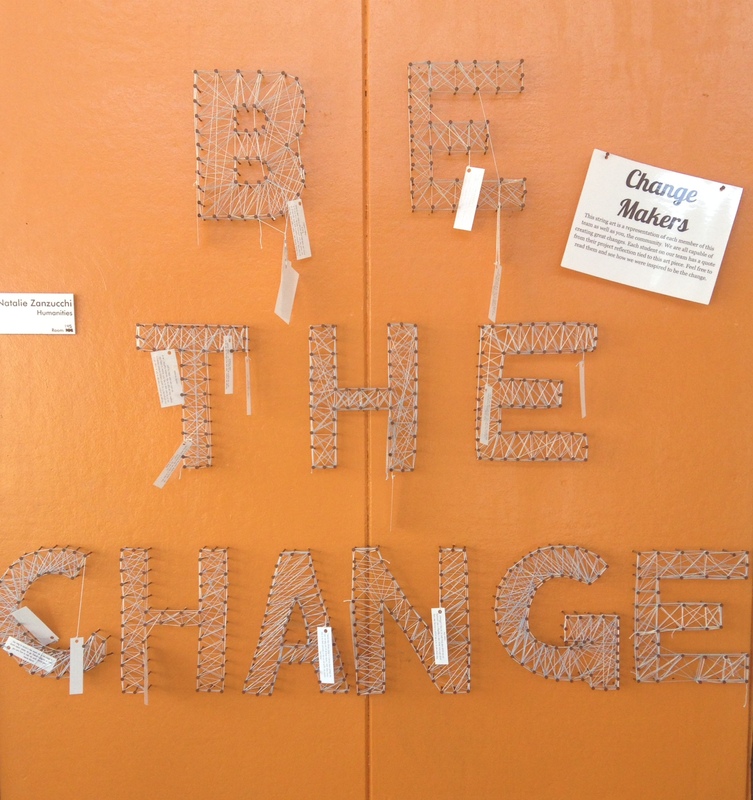 My first change: making our projects have a more meaningful impact on our community. As our student tour guide stated, “Why would you even do a project if it doesn’t mean anything?” It was a theme heard constantly during our visit and one that will have a strong, positive impact on doing projects for our students. “You need to have the courage to mess up,” shared one HTHCV Biology Teacher. Although a part of me is fearful for the work that lies ahead, I know that we can do it, and I know that we have to do it… Together. Watching other teachers teach is one of the best, if not THE best, form of professional development. Visiting countless classrooms at both High Tech High campuses reminded me of many great instructional practices that I need to use more in my classroom, and gave me many new strategies to begin to implement.